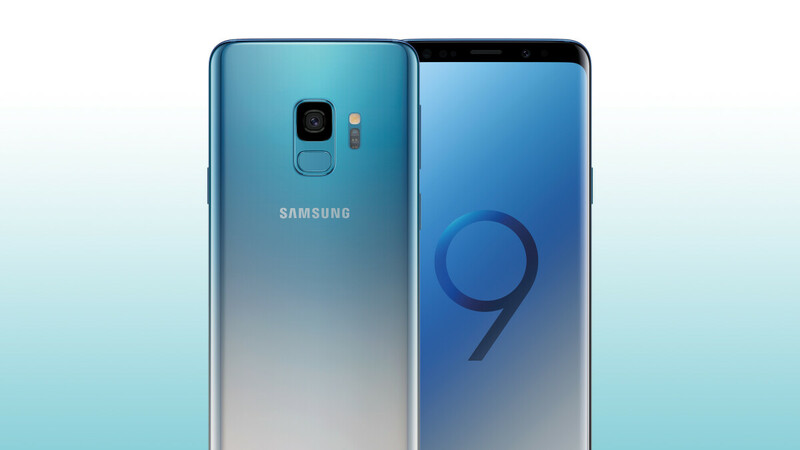 The beautiful Samsung Galaxy S9 Polaris Blue, which was initially revealed as Ice Blue in China and South Korea, is going to make it to Europe after all. Samsung has announced that the Galaxy S9 and S9+ in Polaris Blue will launch in Germany in early December. Both the Polaris Blue and Ice Blue version sport the same cool, blue-to-white gradient finish, with the only difference between the European and Asian model being the storage. The Ice Blue version was listed with 128GB of storage for China and South Korea earlier this month, while Samsung Germany's press release seems to indicate that Polaris Blue will be available in 64GB. After years of conservative color design in flagships, it's exciting to see more companies trying to bring new and interesting color schemes to the table. The Samsung Galaxy S10 is also rumored to be available in numerous gradient finishes at launch, and the release of the Galaxy A9 and the Polaris Blue version of the Galaxy S9 could be an indication of this. The Samsung Galaxy S9 and S9+ in Polaris Blue will hit store shelves in Germany at the beginning of December, carrying price tags of €849 ($963) and €949 ($1076) respectively. There's currently no information on whether this sleek new color option will be making its way to the US. That picture looks like a mid-ranger right now.